I never met W. Edwards Deming. He passed away twelve years before I “discovered” him. Few men have effected me as deeply. His life is inspiring, his teachings profound. Please take a few minutes to read Deming’s 14 points from this site. 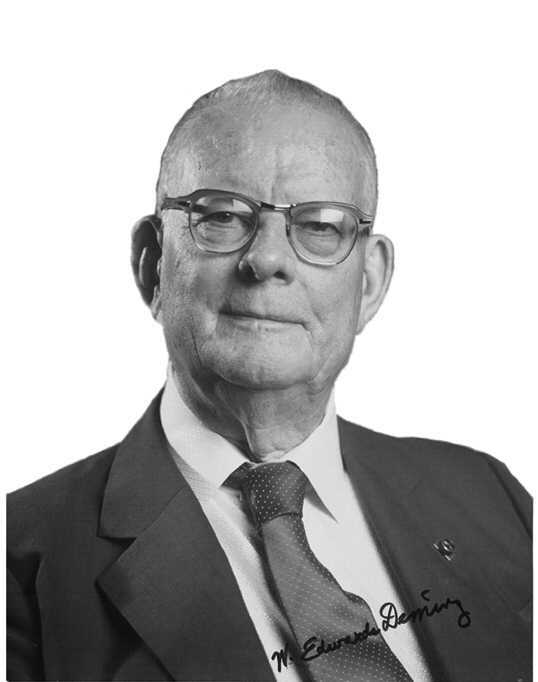 Deming left us with all the foundation we need to dig ourselves out of this economic mess. It is my wish that once you are exposed to Deming, to his life, as well as his philosophy, it will, as he said many times, “haunt you”. It certainly did me. Today I expend time and energy promoting the work of Deming and working toward the “Better World” he dreamed of.